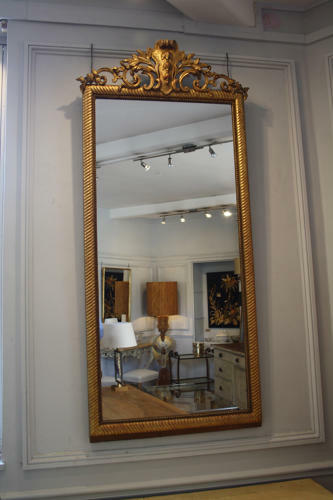 A wonderful and very elegant C19th rectangular giltwood rope twist overmantle mirror with original sparkly mercury glass mirror plate and fine decorative cartouche. French c1880. Lovely proportions and in great condition.